Your wedding, the most momentous day of your life, should be unforgettable. 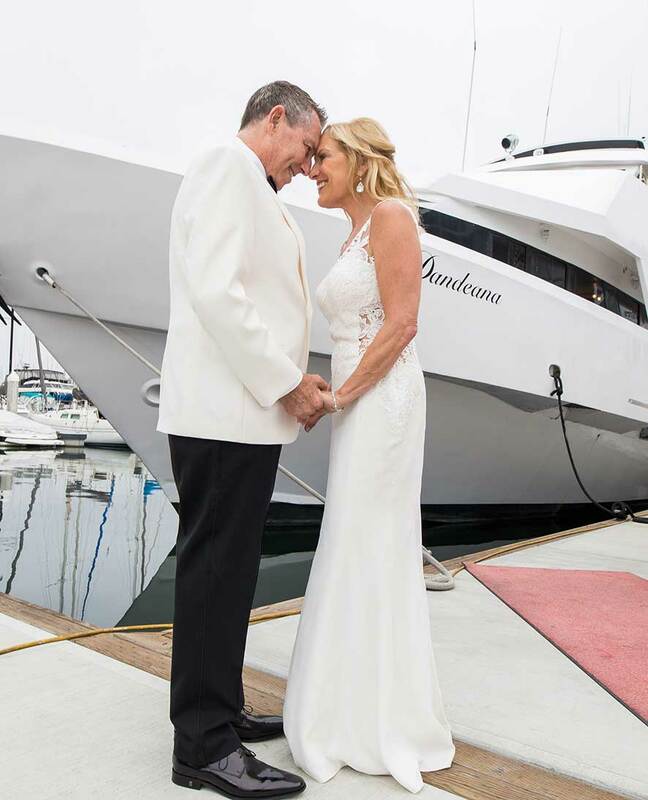 A customized wedding onboard one of our three luxurious yachts allows you to host 50 to 300 of your most cherished guests with a once-in-a-lifetime experience. With our all-inclusive yacht wedding packages, your style and vision come to life in magnificent splendor. Our comprehensive wedding packages ensure that your wedding is managed by true event planning professionals. Our in-house services include all catering, bar, and private venue space — in addition to managing selected vendors of your choosing including florists, live entertainment, photography, and any other outside service providers. With four decades of wedding experience, our team has the knowledge, skill and experience to produce the wedding of your dreams. All you have to do is arrive and get ready to walk down the aisle! All of our yacht rentals are available online — so get started with an estimate today! Our experienced Wedding Planners can custom-tailor your day based on your needs and wishes.